Our crowdfunder page goes live today! It’s a big day for us at YMSN: today our crowdfunder page goes live on Spacehive. 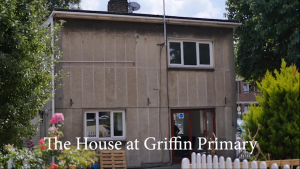 ‘Make the House a Home’ is a campaign in which we hope to raise £20,000 to upgrade our operations at the Hub, our base of operations which opened last year. We run courses for mums there, from work skills to parenting skills, giving the mums of Wandsworth a safe and welcoming space they can rely on to be there for them. We’ll be holding a launch party at Battersea Power Station on Wednesday this week (5th September); everyone is invited, and you can read all the details here. If you can’t make it, though, our Spacehive page is the place to donate. Don’t worry if you can’t afford to make a big donation – if we understand anything at YMSN, it’s that people’s budgets can be tight! Even a pound or two can help us make a difference, though, especially if you also share this page or the Spacehive page with your friends and colleagues. So please, donate what you can, share the news widely, and help us make the house a home.